From its sun-soaked shores to its lively downtown area, Gulf Shores has something for every visitor to enjoy. If you've been craving a bit of sunshine and warm ocean breezes, you should work with Vacatia to book your Gulf Shores accommodations. 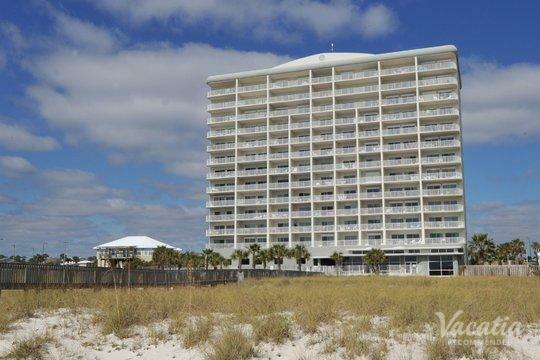 Once you have the perfect home away from home in this beautiful beach paradise, you'll be able to relax, unwind, and enjoy all that Gulf Shores has to offer. Vacatia can help you find the perfect vacation rental in Gulf Shores so that you can make the most of your time in Gulf Shores. When you stay at one of Vacatia's "resort residences," you can rest assured that Vacatia's Guest Care team will always be available to answer any questions or address any concerns you may have. Vacatia takes the stress and hassle out of trip planning, so you can spend less time planning your beach getaway and more time daydreaming about it. Gulf Shores is an idyllic coastal town that has something to offer all types of visitors, from couples looking for a romantic getaway to families seeking a fun-filled vacation. No matter what you have planned for your time in Gulf Shores, you should let Vacatia take the reins and help you find the perfect vacation rental for your trip. When you stay at a Vacatia rental property, you will be able to enjoy the ideal combination of comfort and luxury. Vacatia's unique rentals provide the space and comfort of a home as well as the desirable services of a resort, which means you can enjoy the best of both worlds when you stay at one of Vacatia's one bedroom rentals in Gulf Shores. So escape to the coast, where you can find an endless stretch of white sand beaches, great dining and shopping, and an abundance of outdoor activities. 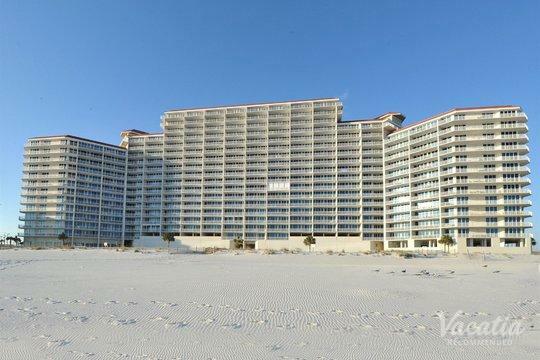 To ensure that your Gulf Shores vacation is one for the books, make sure that you have a terrific home base in this coastal paradise by booking your accommodations through Vacatia. Gulf Shores is a popular beach town located on Alabama's Gulf Coast. This idyllic coastal destination is home to long stretches of white sand beaches and a number of quality resorts, restaurants, and shops. Gulf Shores features the perfect combination of great nightlife, beautiful beaches, and family-friendly resorts, so you're sure to find your own slice of beach side paradise in Gulf Shores. During the spring and the summer months, Gulf Shores beckons sun-seekers and beach-lovers to its shores. Whether you want to go deep-sea fishing, kayaking and swimming, golfing, or simply want to indulge in luxurious spa treatments, you're sure to find just what you're looking for in Gulf Shores. 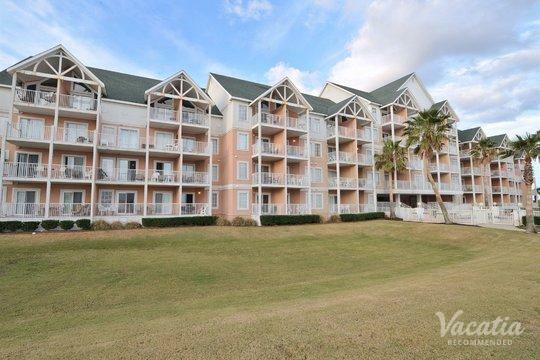 So when you start planning your Gulf Shores getaway, let Vacatia help you sift through its impressive selection of Gulf Shores one-bedroom condos so that you can book the perfect vacation rental for your upcoming stay in this beachside oasis.